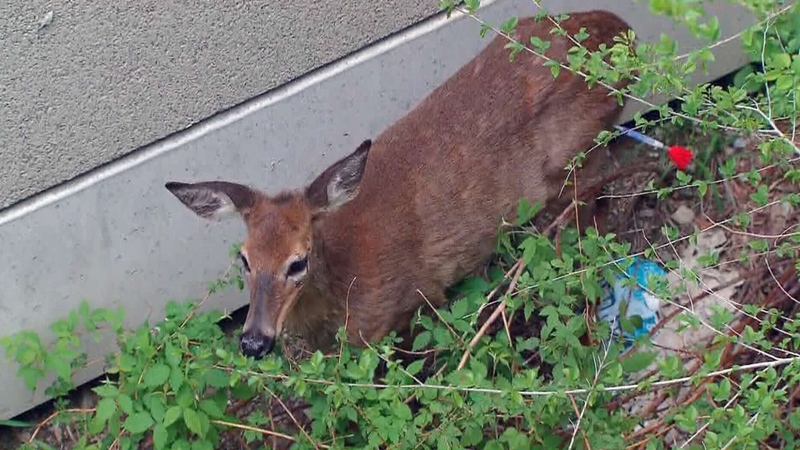 A deer that had run onto the Gardiner Expressway on Monday, snarling traffic for nearly three hours as police attempted to steer the animal off the busy highway, will be taken to an east-end park. Sections of the Gardiner, east of Park Lawn Road, near Etobicoke, were temporarily closed on Victoria Day after the female deer was spotted in the area. 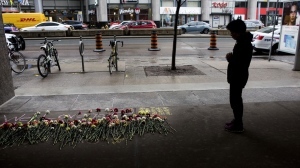 Police tweeted about the road closure on Monday morning. The animal eventually settled near a bush along a noise barrier, just west of the Humber River. A Toronto Zoo veterinary was called in to tranquilize the animal. Nicola Ware, a Toronto Animal Services officer, told CP24 on Monday that the deer appeared unharmed, adding that without the Toronto Zoo's help and expertise, "it could have resulted in harm to the deer." The animal has since been taken to a facility where it will be monitored as it comes out of sedation. Ware said the deer will be released in Rouge Park. This deer caused quite the headache for drivers on the Gardiner Expressway, Monday, May 19, 2014.